So How Does Wi-Fi Actually Work? I’m telling you man, they’re everywhere! And they aren’t leaving! No, I’m not talking about aliens, but about Wi-Fi waves. 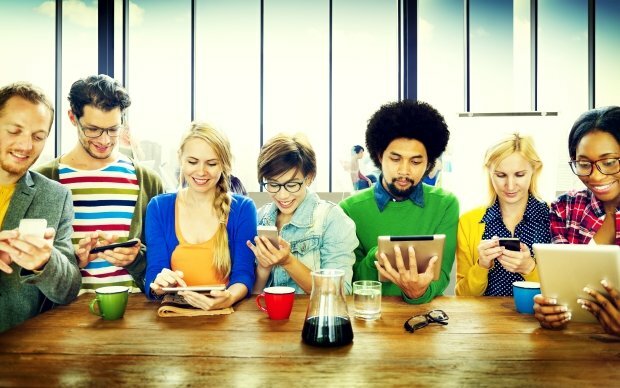 Anytime you visit a coffee shop, a library, a hotel, an airport, and so on, you are surrounded by lots of waves that are produced by the wireless devices around you. And since more and more cities provide free Internet access to all their residents, things can only move forward. This isn’t surprising at all, because Wi-Fi networks provide lots of advantages. They are very easy to set up and use, for example. But have you ever thought at the inner mechanisms that make Wi-Fi such a great technology? The video below shows some of the Wi-Fi basics. Wireless networks have been invented with the goal of replacing standard Ethernet cables, those thick wires that are still used to connect our desktops to the routers, for example. And it’s quite clear that the invention took off, because these days more than 75% of the world’s Internet traffic is carried through wireless, Wi-Fi based networks. 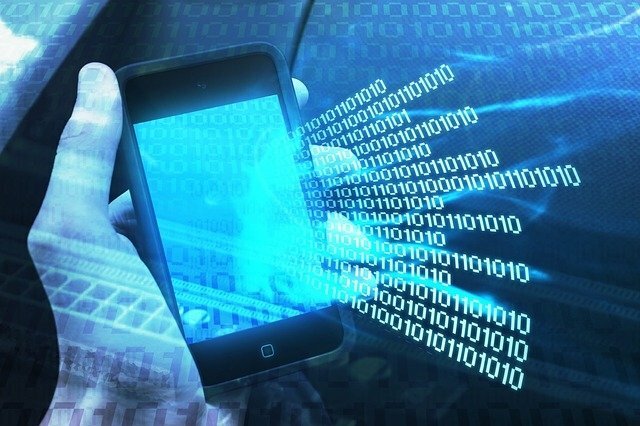 A wireless network uses radio waves, just like your cell phone does. By the way, I’ve written a guide about cell phones HERE, so you may want to check it out after reading this article. In a nutshell, your router receives data from the Internet and converts it into wireless radio signals, which are transmitted using regular, omnidirectional Wi-Fi antennas. Then, the signal is received by another antenna, a chip decodes it and sends the information to your smartphone, tablet, PC, and so on. The process works both ways, with the routers and their clients being able to receive and send data at the same time. At a basic level, the system works pretty much like a pair of walkie-talkies. There are several key differences, though. To begin with, wireless networks transmit signal using the 2.4 GHz or 5 GHz frequencies. The signal travels at much higher frequencies in comparison with the ones used for walkie-talkies, because this allows it to carry more data – up to 1,300 Mb per second. Then, it is important to understand that Wi-Fi transmitters use a much lower signal power, broadcasting the wireless waves over much shorter distances. 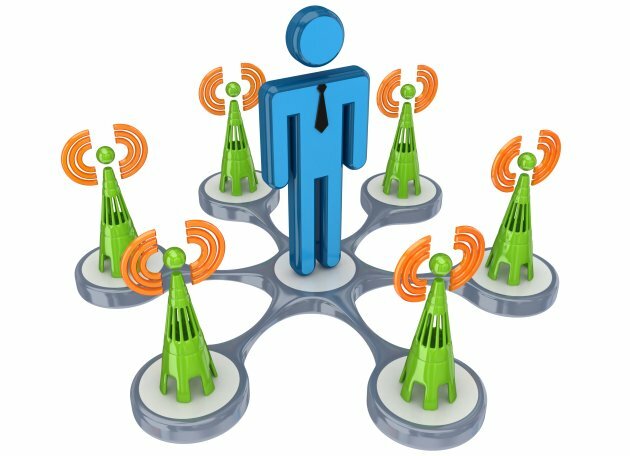 This way, a regular Wi-Fi router can serve dozens of network clients at the same time, without disturbing the other Wi-Fi networks in the area. Modern Wi-Fi routers can broadcast signals on any band, and they can hop quickly from one channel to the other whenever it is needed. This doesn’t mean that everything works flawlessly. Any piece of data that flies through the air is subject to interference, whether it’s from other Wi-Fi signals nearby, or even your microwave oven. According to the laws of physics, the lower the frequency, the farther the signal transmission distance. This means that the 2.4 GHz band will work better for devices that are away from the router. Of course, the 5 GHz band has its advantages as well; it provides higher throughput speeds for the devices that are placed closer to the router. Each of the two bands has its dedicated channels; the 2.4 GHz band has a dozen of channels, while the higher frequency one can use up to 60 different channels, depending on its implementation. It’s another win for the 5 GHz band, because it allows people to set up various Wi-Fi networks which don’t interfere with each other. Still, if you’d rather trade speed for range, the 2.4 GHz band is a clear winner. A Wi-Fi hotspot is an area where people can have access to a wireless network. Some hotspots are free, while others require some fees. These days you can even create your own mobile hotspot using a regular cell phone or tablet, and then share your Internet connection with other devices / other people. To connect to a hotspot, you will need a device that includes a wireless adapter. And while all smartphones and tablets incorporate one, older computers and even older laptops may miss it. Fortunately, wireless adapters that plug into USB ports are inexpensive and do a great job – especially the ones that include a larger sized, external Wi-Fi antenna. Once you’ve installed a wireless adapter physically, it’s time to set up the software application that comes with it (especially its drivers). Then, you will be able to connect to the desired Wi-Fi network, provided that you know its user name / password combination. That’s all! From now on, you won’t ever have to repeat the process for that network – and isn’t this a convenient feature? 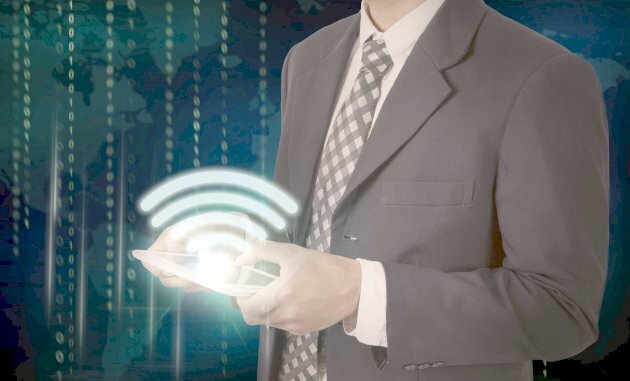 Hackers have learned how to use other people’s Wi-Fi networks, connecting to them and stealing precious data. This is why Wi-Fi passwords were invented in the first place! Today, the most up to date (and the only safe) security mechanism is WPA2, the acronym for the second generation of Wi-Fi Protected Access. WPA2 works best in conjunction with the Advanced Encryption Standard mechanism, also known as AES, which was developed by the US government as a means to keep data safe, as it travels from one device to another. I have kept one of the most important Wi-Fi features for the end of the article: its backwards compatibility. If you’ve ever wondered how come your old computer can connect wirelessly to your shiny new router, now you know the answer. With each Wi-Fi iteration, the team which designs the new standard makes sure that even ancient devices can make use of it. I’d say that very few technologies can brag about that, wouldn’t you agree? I’m telling you, son, we are so blessed these days! At least when it comes to the available technologies. Did you know that your grandpa was so proud of his radio telephone, which was installed in his car, and was powerful enough to broadcast phone calls on a range of 20 to 30 miles, but used to weigh a hefty 10 pounds? Everything has changed these days; now we’ve got cell phones that are so tiny that they tend to slip through our fingers. They’ve gotten so complex, and they are able to contact anyone, anywhere in the world, as if that person was in the next room! And all that’s done despite the fact that they are using small sized batteries, which (under normal circumstances) would be unable to provide enough juice to help the phone broadcast a strong signal over a long distance on their own. So how do cell phones work? It’s a complex process, because the technology has evolved a lot during the last few decades, but I’ll break it down for you in simple, easy to digest steps. Aren’t you excited to learn more about the way in which your smartphone works? I surely know I am, so let’s get started. If you are the visual type, the video below will help get the things rolling. A lot! However, if you prefer text, skip the video and read on – I promise you won’t be disappointed. At a basic level, a cell phone is a radio transmitter – yes, just like those walkie-talkies you used to play with when you were a kid. In fact, that’s how it all started: people needed to communicate even while they were away from their homes, so they have installed radio telephones in their cars. But since the number of wireless channels was limited and the technology was in its infancy, very few people were able to afford those types of phones. A cellular phone works differently; it makes use of a virtual system that breaks down a big city into virtual, smaller cells. This way, the available frequencies can be reused over and over, serving one person in cell 1, another person in cell 3, and so on. That’s how even millions of people can use their cell phones at the same time without overloading the available channels. Most cell phone carriers get close to 1,000 different frequencies that they can use across a given city. And each virtual city cell has an approximate size of 10 square miles. Typically, a cell contains a radio equipment that sits at the top of a tower. In the past, each cell had the ability of serving up to 56 people, who were able to talk at the same time. This happened during the early days of the 1G technology. With 2G (the first digital version of the technology), and then with 3G, the number of people who are able to speak simultaneously using the same cell equipment has significantly increased. It is now possible for up to 168 people to use their phones in the same cell, at the same time. Your phone is able to use that tiny battery because it only has to connect to the nearest cell tower – it doesn’t need to broadcast signal over a range of 50 miles or so! And since it uses a low power transmitter, the battery power consumption is low as well, so your smartphone can have a pocketable size. Additionally, cell phones convert voice into binary data, which can then be compressed. This way, it is possible for up to 10 digital calls to occupy the same bandwidth that would be necessary for a single old-style (1G) analog call. We are so proud of our lightweight phones these days, aren’t we? 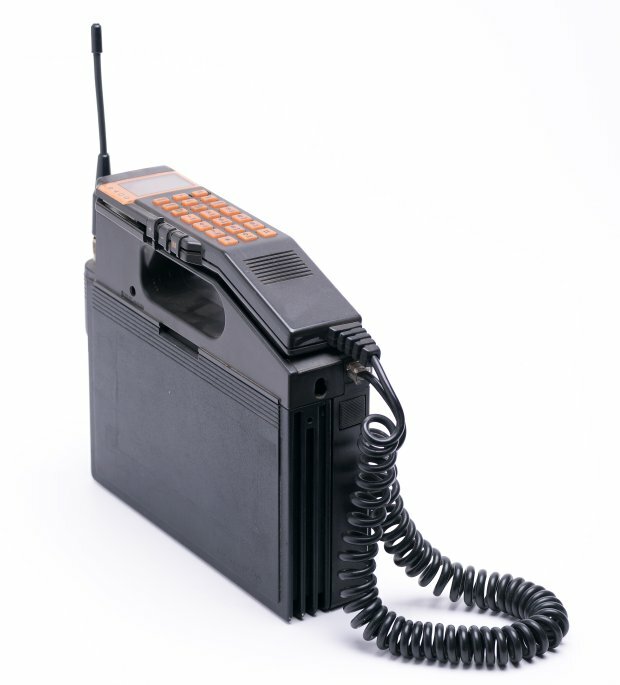 And yet the first portable cell phone ever weighed 2.5 pounds and had a price of $3,995 back in 1973, when it was launched on the market. That would be over $20,000 in today’s money, btw. And that phone only did the basic stuff it was built for: called other people’s phones and was able to answer calls. Fortunately, the smartphones that we hold in our hands today are so much smarter and less expensive. They can store contact information, they can set up and keep track of various appointments, include birthday reminders, can send and receive emails, browse the Internet, allow us to play games, watch movies, communicate with other intelligent devices, and so much more. So yes, when I say that we are blessed to live in this technology era, I really mean it. And now that you know how a modern cell phone works, I hope that you will fully agree with me on that.